The La Palina Black Label is a cigar that I have enjoyed many times over the past few weeks. Add that with some cold weather, awesome pairings, and some downtime and I bring you this week’s review. 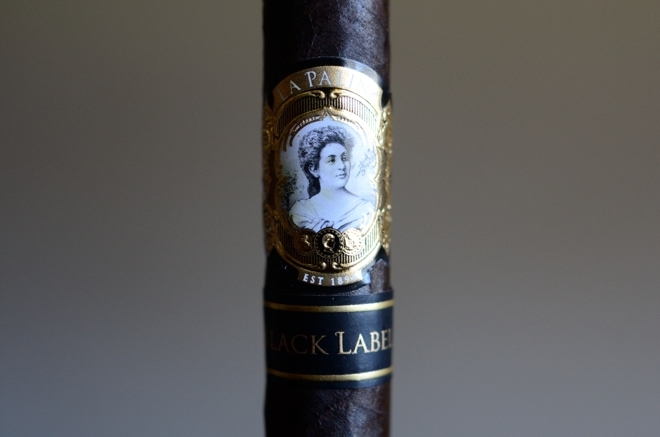 La Palina’s Black Label is on of it’s newest releases which made it’s debut at this year’s IPCPR show in Las Vegas. 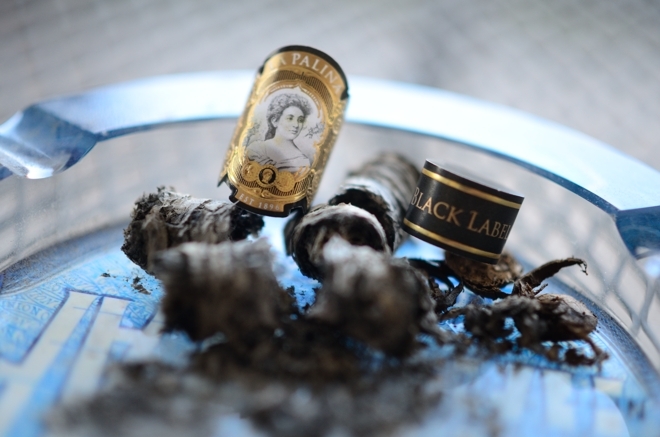 The La Palina Black Label is composed of a Brazilian Bahiano wrapper, Dominican Republic and Nicaraguan Binders, as well as Dominican Republic and Nicaraguan Fillers. The blend is said to be the boldest and strongest cigar in the La Palina portfolio. The Black Label is manufactured at the PDR Cigars factory in the Dominican Republic. This is the same factory that rolls La Palina’s Classic line. The La Palina Black Label is offered in four different sizes: the Petite Lancero (6 x 40), the Robusto (5 x 52), the Toro (6 x 50) and the Gordo (6 x 60). Each stick will run you between $9 and $11.50 a piece. I ordered up a handful of these from out friends over at SmokeInn.com. 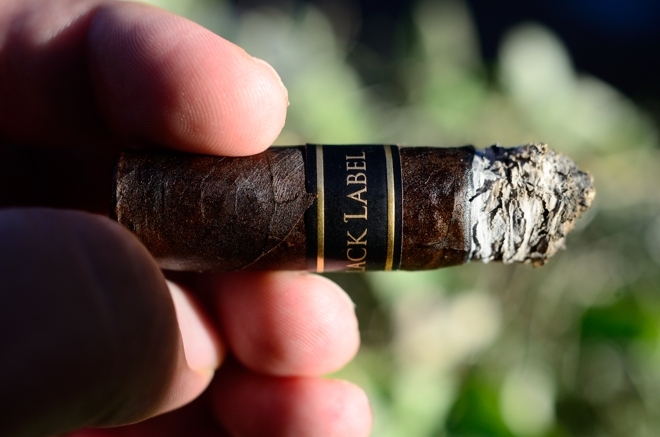 The La Palina Black Label is a dark little cigar. Seriously, the wrapper is as close to black as you can get which makes the name of the cigar very fitting. 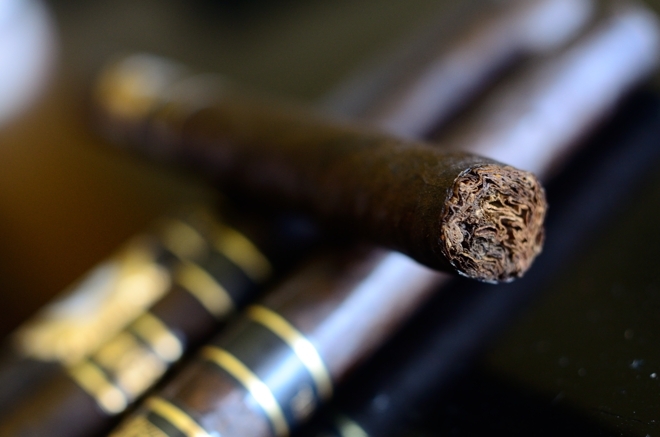 The wrapper is very consistent and the only areas which show off a bit of the brown are around the crests of the medium-sized veins that are scattered throughout the body of the cigar. The wrapper is silky smooth in some areas while a few areas closer to the foot carry some slight tooth. 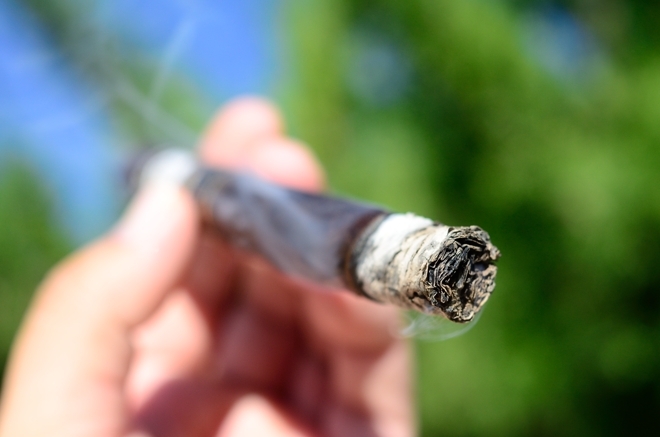 The entire cigar is coating in a thick layer of oils. The cigar looks a bit rough, but in a good way as the construction is spot-on. The wrapper on the cigar looks real dense, but feels very fragile as the cigar has quite a lot of give when I squeeze it between my fingers. The La Palina Black Label is finished off with a beautifully round triple cap. 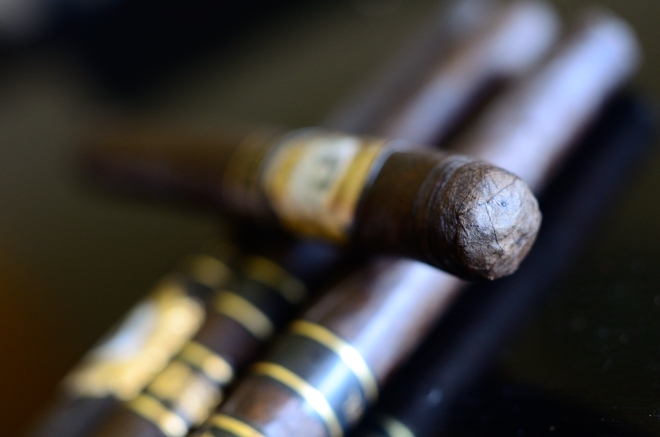 The cigar is polished off with the classic La Palina gold and white crest along with an additional black and gold band stating “Black Label” across the front of it. 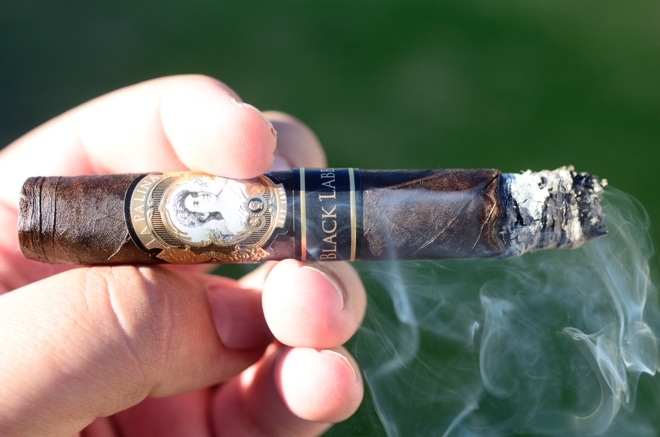 The La Palina Black Label’s wrapper gives off a ton of spice and coffee aroma while the foot of the cigar showcases more woodsiness and natural tobacco aromas. The cap cut very clean, and incredibly easy using my double bladed Palio cutter. The cold draw carried more sweetness than I expected with lots of spice, a bit of grassiness and dirt, as well as some prominent coffee mixed in there. The La Palina Black starts out with some great, subtle black pepper which mixes in well with the heavy spice and cedar in the flavor profile. The backing flavors are some dark chocolate, black cherry, and espresso. I’m impressed with how the sweetness in the smoke surrounds all these flavors making it bold, yet really well balanced. The draw is a bit snug, but after a few puff it starts to kick out these massive clouds of thick, white smoke. The stationary smoke is incredible as well. Its like a miniature smoke machine resting in my ashtray. The burn line is pretty solid and thin leaving behind a trail of bright white, tightly compacted ash which held on for an inch before giving way. The sweetness is really starting to come out in the La Palina Black Label with the beer pairing’s help. I know the beer is Bourbon Barrel Aged, but even the Black Label alone gives some bourbon qualities in it’s flavor profile. The Cherry, chocolate, and espresso still lead the way with some great spice, woodsiness, and lots of malt. The retrohale is incredible coating my nasal passage with a really interesting malt, spice, and musk. The draw was still a bit snug so I clipped a tiny bit off the cap and it’s rocking now. For what it’s worth, all the other Black Labels I have smoked weren’t tight at all. The body has been in the medium/full range the entire time, while the strength is well in the medium/full range as I feel a slight nicotine kick closing out the second third. Into the final third of the La Palina Black Label and it’s been incredible all the way through. The body is in the full area now leading with the chocolate, sweetness, and cherry with lots of woodiness and spice. There was also some great raisin flavors that come through in the final third. The burn line has been perfect and I never once had to touch up or relight this cigar. The draw has been great ever since that extra little clip in the second third. The strength really comes through in the final third as I close it out right in the middle of the full area. It took me about an hour and a half to smoke this bad boy down to the nub with no harshness, and a slight nicotine kick. Needless to say I fell in love with the La Palina Black Label. I’ve been a long time fan of La Palina. While not all of their blends fit my profile, many of them find their way into my daily rotation. 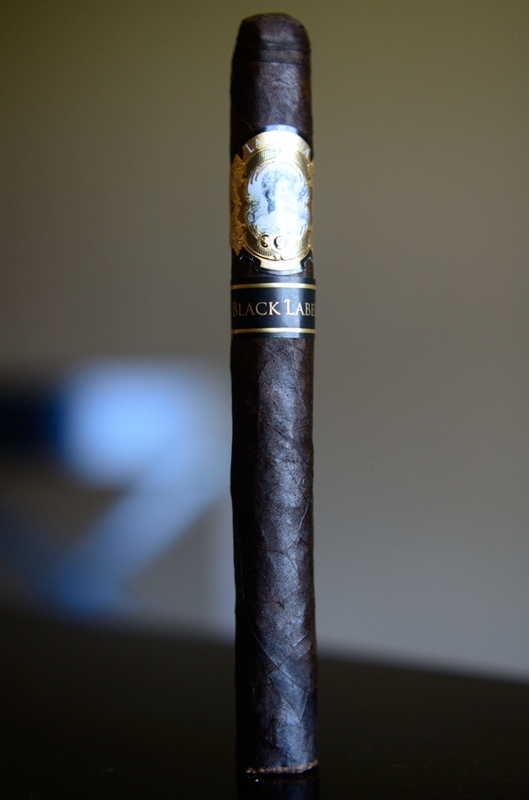 The La Palina Black offers a great, full bodied, full strength experience at a decent price point. While the strength was in the full area, never once did it muddy up the flavors as they were a bit complex, very pure, and extremely enjoyable. While I got mostly the same flavors from the other two formats I smoked, the petite lancero we by far my favorite as they were much more pronounced, especially in terms of the cherry and chocolate. The price points on La Palina cigars have always been a bit higher than most, but that has never deterred me as I have always gotten my moneys worth and the Black Label continues the trend. This is a box-worthy cigar for sure and an excellent addition to the La Palina portfolio. As the temperatures drop here in West Texas I tend to reach for more darker, thicker beers. One that I can easily go to is Laughing Dog’s Dog Father. The first time I drank this beer our pal Jeff actually sent it to me, and now I am luckily enough to find this brew locally. Brewed at the Laughing Dog Brewery in Idaho, this Bourbon Barrel Aged Imperial Stout comes in at a whopping 10.85% ABV. Laughing Dog also makes a non-barrel aged version of this stout which rings in at 11% ABV, but that was only available in the past. This year features the Barrel Aged version. 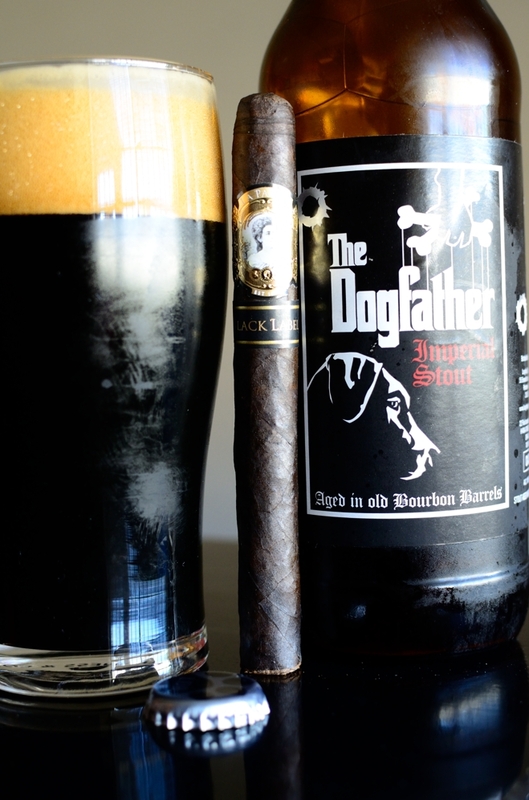 The Dogfather leads with a whole lot of sweetness and maltiness with a very thick mouthfeel and tons of bourbon remnants as it finished creamy and thick with more sweetness, chocolate, and a slight bit of booze. The flavors in this beer are much more pronounced as it warms. It’s obvious why I chose this beer as a pairing with La Palina’s Black Label. The chocolate, bourbon, and malt paired perfectly with the flavors present in the cigar smoking experience. I also think this cigar is begging to be paired with a sweet bourbon or sweet port wine. Damn, that sounds good! Maybe they should rename the cigar Black Dog Stout, lol. Glad you like the Dogfather. I’m eagerly waiting for the new release to show up here.